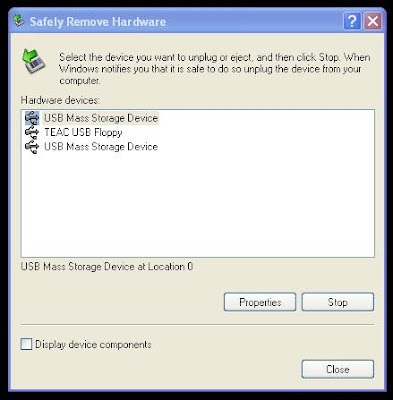 MPECS Inc. Blog: SBS - No "Safely Remove Hardware" Icon? Wow, cool, thanks! I had just this need the other day, when I was remote controlling a NAS device with a limited desktop, but the ability to launch processes. Thanks Philip! This is a nice and neat workaround this problem and I liked it. In fact, I am already using it. However, it does not address the root of the problem. Is there a way to fix the problem from the OS standpoint? So far, when we encounter the issue, and do this particular work around, we have not encountered the same problem again on the same box. The icon is there when we initially switch USB drives. What makes it disappear could be any number of things. Yes, it would be nice to find the root of the problem. My suspicion is communication brakedown between the board/USB/BIOS and the OS.